It looks like one of their notebook computers, right down to the famous "TrackPoint" mouse button in the middle of the keyboard. But, it's really a large PDA that runs on Windows CE. At its new price, it's a steal. Feb. 4, 2000 — Last spring, IBM introduced a Windows CE mini-notebook-sized device. Their WorkPad z50 was very similar to H-P’s Jornada 820 that I loved. IBM decided to market it business-to- business. As we know now, it wasn’t a huge instant success. So, they began to drop the price. That’s where the bargain stuff comes in. FIRST, A DESCRIPTION of the z50. This WorkPad PDA looks like a three-quarter sized ThinkPad notebook computer. It’s 10.2 by 7.9 by 1 inches (260 by 202 by 26.5mm), and weighs 2.66 pounds (1.206kg). In a side by side comparison, amazingly it’s exactly the same size as a Sony Vaio 505 series notebook computer. The z50 comes with 16MB of RAM built-in, but memory can be expanded in three ways. You can add memory to the PC card slot (the first PDA with a Type III slot), or the CF (compact flash) slot, or, uniquely, you can add up to 32MB in a hidden slot for 144-pin laptop ram cards. Don’t forget, you can also add one of IBM’s wonderful 340MB microdrive hard drives, if you need that much storage. Processor is NEC’s speedy, 131MHz (VR4121) MIPS chip. The screen is an 8.2-inch, dual-scan (DSTN) VGA display that provides 640 by 480 pixels with 64,000 colors. The battery is a Lithium ion type rated for eight hours per charge. In my first try with the z50, I was able to get more than ten hours out of the battery. IBM provides interesting circuitry that allows you to condition the battery discharging it completely then charging it back to peak levels. The z50 keyboard is 95-percent the size of ThinkPad keyboards (which explains why there’s so much extra space for the contract and brightness controls just to the right of the screen). The z50 has ports all over the place. There are the aforementioned PC Card and CF slots, a serial port, an infrared port, a VGA out monitor port and a RJ-11 port for the built-in 33.6/14.4 data/fax modem. There’s also a proprietary docking cradle port that allows you easy, one- step synchronizing and charging through IBM’s optional docking station. The z50 also has 20MB of read-only memory (ROM) containing the operating system (Windows CE Professional Edition 3.0) and all the built-in software. That includes: Microsoft Pocket Office (Pocket Word, Pocket Excel, Pocket PowerPoint and Pocket Access), Microsoft Pocket Outlook, Microsoft Voice Recorder , MS Pocket Internet Explorer , Windows CE Services , Microsoft Expedia Pocket Streets 98, IBM Global Network dialer , IBM Mobile Connect client software, bPrint, bFaxPro, and bUseful Backup. An impressive lineup. Basically, IBM made a great large-format PDA. The z50 allows me to run all the current Windows CE software made for these devices, and run that software quickly. For most of my “portable computing” needs, the WorkPad z50 is heaven sent for me. It allows me to “RAS” into my office, get my e-mail (with all the IMAP4 folders and sub-folders), allows me to surf the web on a 128-bit version of Internet Explorer, and to write my column from far-away places. It will also let me open an Excel spreadsheet, and even allow me to do a PowerPoint presentation on someone else’s monitor. Synchronization with my desktop computer (via the supplied serial cable) was/is a breeze. A few months ago, at Comdex, I noticed a number of journalists covering the keynote speeches were typing their stories on H-P 820s and IBM z50s. I asked them why and they responded “instant boot-up and long battery life… I only have to charge the thing once a day. I write what I need to, find a phone, and send the editors a ‘Word’ file.” Makes sense. My long-time high school buddy, AD swears by his H-P. Says he switched from a 6-pound laptop nearly a year ago and will never go back. So, why couldn’t IBM sell these things? They underestimated and overpriced the z50. Selling them on their website kept the price up, and deprived a huge consumer audience of a great device. Actually, the H-P has a faster (56K/V90) modem. And, after H-P dropped the price $100 the Jornada was a better buy. Notice I used the word was. That’s because IBM recently cut the $999 price (I could swear IBM originally priced these things over $1,000) to $799. At that point the z50 became a better buy. But it wasn’t a bargain. Now, it’s a bargain! IBM has just chopped another $500 off the price because it’s dropping the Windows CE device completely. 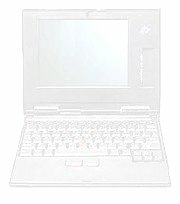 That means, if you log-on to the CDW (Computer Discount Warehouse) website (or call them) you can buy a WorkPad z50 for $299. Because of the increased demand for z50s, middle- level marketers have raised the price to retailers. CDW is now selling them for $369, but promises to stand-by any confirmed orders at the old price. $369 is still a great price for a z50, but not as good as it was last weekend. If you search the web you still can find acceptable prices on any number of sites. In my opinion, this is one of the great bargains in portable computing. Remember, the z50 is not a laptop or a notebook computer. It’s a PDA. But it’s such a useful PDA it actually can take the place of much more expensive portable devices in many cases. Because IBM is deleting the z50 the new low prices will allow many people to experience just how good these devices really are. I’m not suggesting that everyone go out and buy a z50. IBM probably won’t be supporting a discontinued model like it supports a current one. Plus, all z50 accessories (like the printer cable, docking cradle and extra batteries) were very high priced (they were originally sold for a $1,000 PDA). And, if you need to run specific Windows applications a CE device won’t do it for you. But, if what the z50 can do sounds good, this sale is the opportunity of a lifetime. I’m not endorsing Windows CE devices over any others; I’m telling you that large-form PDA’s, that can do what IBM’s WorkPad z50 can do, should be selling in the $300 range. Especially with laptops now listing for less than a grand. IBM? Are you listening? Other companies? The z50, especially at this price is very highly recommended.